In 1998, Monetary Architect Bernard von NotHaus created the Liberty Dollar, a currency that was 100% backed by 999 fine silver. It was the most stable currency available, and now it's back! The Liberty Dollar Network is proud to continue his vision by bringing Liberty Dollars back and once again offering a stable currency, by re-launching Liberty Dollars and Electronic Liberty Dollars (eLD), Negotiable Silver Certificates as originally issued by Liberty Services. LIBERTY DOLLARS®--THE UNIVERSAL SILVER-BACKED CURRENCY! Liberty Dollars are just as viable today as it was back then. Because they are always backed up by the inherent value of the silver that secures them, it's essentially impossible for them to ever lose their purchasing power. With the ease and convenience of our apps, soon to be available for Android and IOS, you can trade with absolutely anyone who understands how great it is to have the stability of silver. 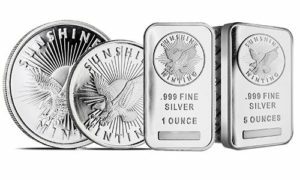 You can redeem your silver at any time, in the form of bullion rounds from the most reliable source there is: Sunshine Minting. You can also sell them back to us when you need to convert them back to Legal Tender. This is another service we offer only to our Members, to help use the power of silver to make your money go further. As the value of silver rises with inflation, we'll adjust the base at which we value our silver upward, so that your spending power won't decline. You can begin using eLD or purchase New Liberty Dollars, the Silver Certificates that are designed to be carried and used like money, today by becoming a Member of The Liberty Dollar Network. These wonderful benefits are available to Members Only, however, because US Law requires us to know who we are dealing with. Membership costs you only $19.95 per year, which covers all the costs associated with your Account and makes it possible for you to use our free Liberty Dollar Classifieds to market your own products or services, or see what others have to offer. Our LD Forum will allow you to interact with other Members, share information about Liberty Dollars and their uses, or offer suggestions and learn from other Members, and our LD Marketplace is where we'll bring you some fantastic offers of our own from time to time. You'll get access to our Buy-Back program, as well, so that you can convert your LD back to National Currency when you need to, via PayPal or by mail. This makes LD the most viable virtual currency on the market, since they can be easily converted back to National Legal Tender almost anywhere in the world! That's why we call Liberty Dollars "The Universal Silver-Backed Currency." 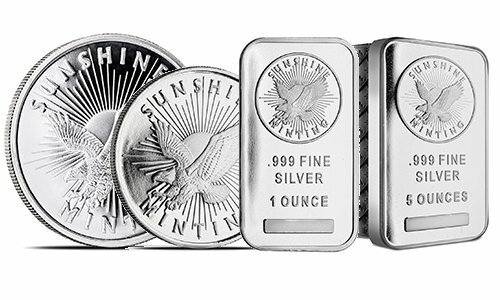 To join the LD Network and begin securing your future with the incredible value-holding power of silver, just visit our Join Page and sign up, and then place your first order for silver to load your eLD Account. We're pretty sure you'll be glad you did.